What Does A Solar Eclipse Look Like From The Moon? It's not as visually spectacular as this synthetic image of the eclipse from space, but it's quite dramatic anyway. 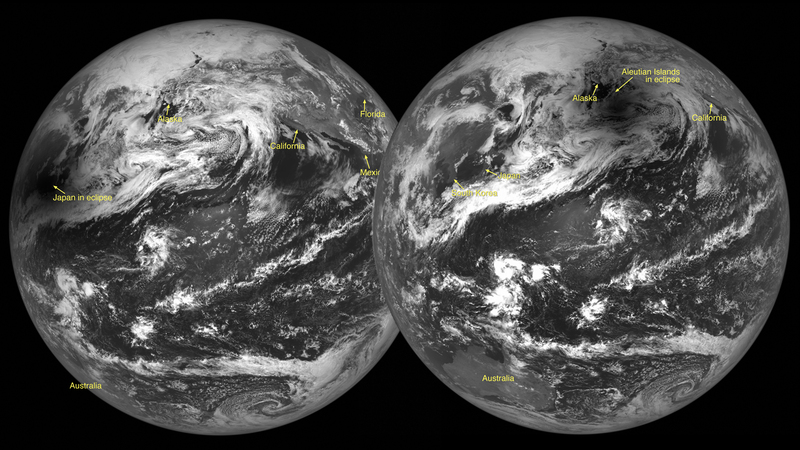 The Lunar Reconnaissance Orbiter Camera turned around to capture Earth as the moon was eclipsing the sun last week.